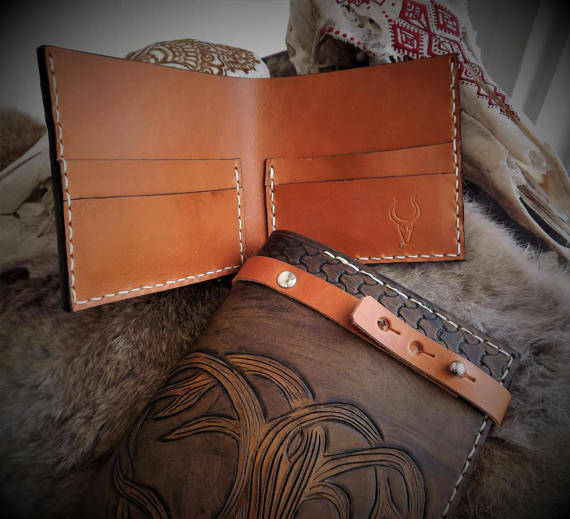 This product is a bifold wallet with two credit card slots on the inside. 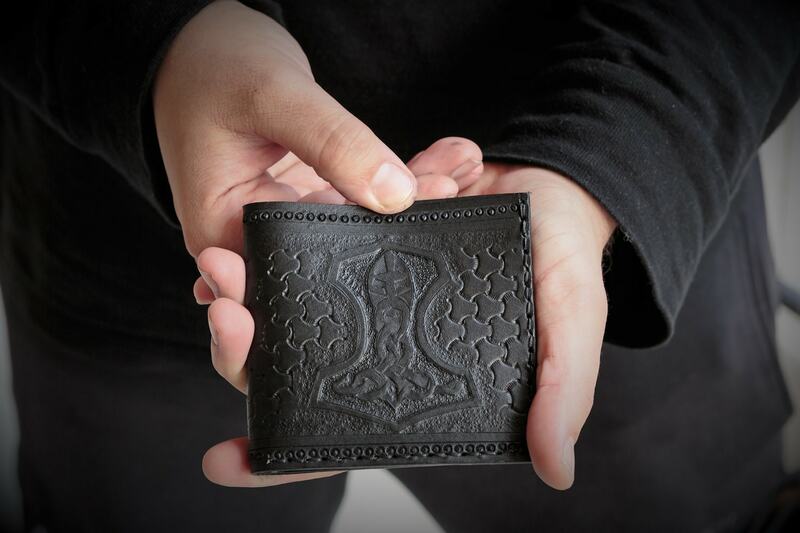 The leather has mjolnir symbol on the front part of the wallet. The product is completely hand-stitched with heavy-duty tiger thread and double stitched to maintain the structural integrity of the product for years and years to come.